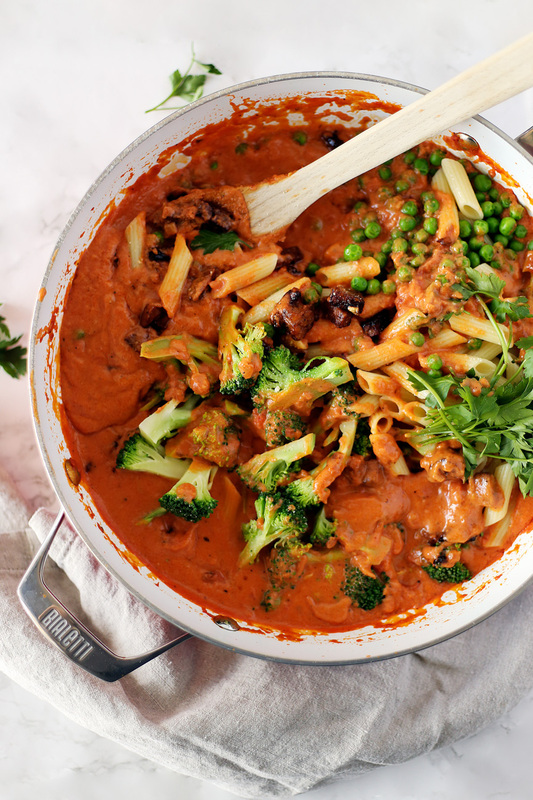 This Vegan Penne alla Vodka Sauce recipe is creamy, luscious, and easy to put together. Growing up, I’d call this sauce “pink sauce” and always thought of it as a mix between alfredo and marinara. 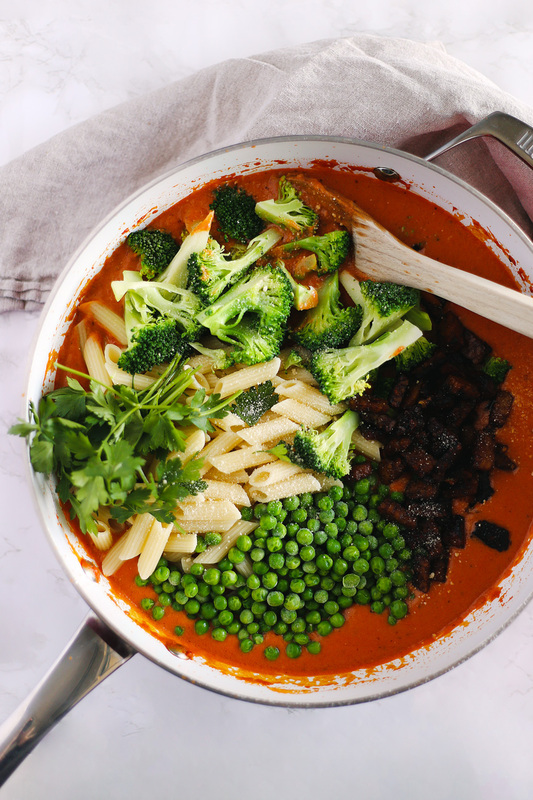 While making a vegan version of this recipe, we decided to add a smoky tempeh “pancetta” to emphasize the traditional version of this dish. Matt works in the wines and spirits industry so he often comes home with boxes of leftover booze. 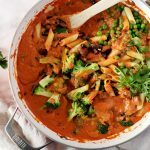 He came home with a bottle of vodka recently and since we’re not big drinkers, we decided to put it to use another way — in this creamy, smooth penne alla vodka sauce! Adding vodka to penne all vodka adds a sweetness to the sauce as the alcohol cooks down. It also helps to cut a little bit of the acidity from the tomato sauce. 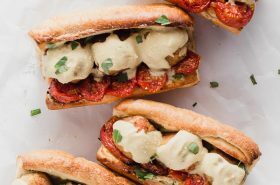 The tempeh is infused with a savory marinade that includes a few splashes of liquid smoke. Liquid smoke is like magic in a bottle. If you haven’t tried it yet, buy a small bottle – it’s worth it – it’s so versatile and it lasts forever. 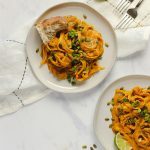 So what’s the deal with this Vegan Penne alla Vodka? 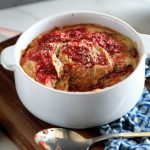 INGREDIENTS: All the good stuff: Cashew Cream // Tempeh “Pancetta” // Marinara Sauce // Vodka (use a vodka that you would drink). Also, penne pasta! TIMING: 30 Minutes. Simple to make! The longest part is cooking down the vodka. You need to cook the vodka until it’s no longer fragrant. EXTRAS: Peas, broccoli, spinach, mushrooms – do it up! Also, don’t forget to top it with red pepper flakes and vegan parmesan. Vegan. Vodka. Sauce. Do it! 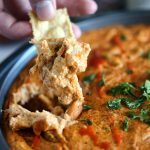 Easy, smooth, and creamy Vegan Vodka Sauce. Made with garlicky marinara sauce, rich cashew cream, and a homemade crispy tempeh 'pancetta'. Start by boiling generously salted water for the pasta. Follow instructions on pasta box for timing and set aside once cooked. *Meanwhile, add raw cashews into a small pot and cover with water. Bring to a boil. Cover the pot and remove from heat. Let sit for 15 minutes to soak cashews. Drain before using. Once the cashews are ready, add all cashew cream ingredients to a blender. Blend on high for 2 minutes or until creamy. Set aside. To make the tempeh pancetta, add minced garlic, soy sauce, olive oil, maple syrup, apple cider vinegar, liquid smoke, and black pepper to a medium-sized bowl. Whisk to combine. Dice tempeh into small cubes about one centimeter big. Add tempeh to marinade and mix with a spoon. 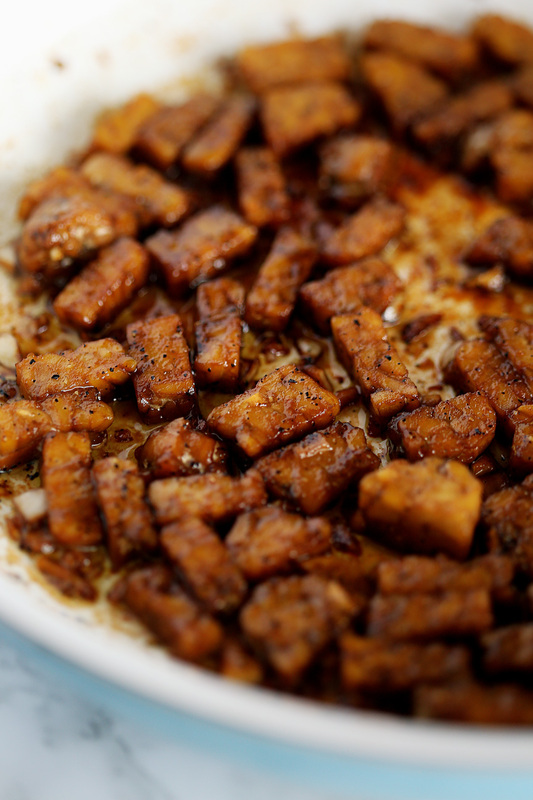 Cook tempeh, with marinade, in a small skillet over medium-high heat until browned throughout, about 5 minutes (see photo). 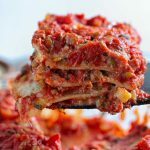 In a large pan, add 3-4 cups of your favorite marinara sauce and heat over medium-high heat. Add vodka, stir frequently to reduce the sauce by 1/4 cup or until the vodka smell dissipates (about 20 minutes). Once vodka sauce is ready, add your cashew cream mixture and stir to combine. Then add the cooked tempeh "pancetta" and stir to combine. Serve warm over penne. *The recipe instructions include the 15-minute quick-soak method. If you already have pre-soaked cashews, you can skip that part. Top with red pepper flakes and vegan parmesan. Matt, I’ll take all the booze you want to send to me, in fact, why not bring it and come visit? LOL. Vodka and red wine, good for your health, if consumed moderately. Recipe sounds awesome…can’t wait to try it! 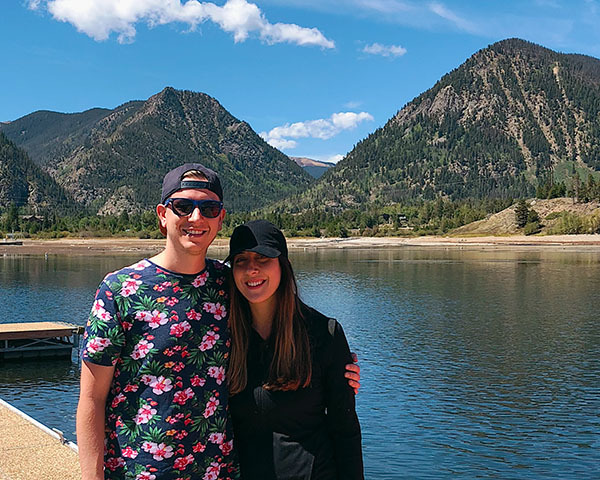 Thanks, Doug – Let us know if you have a chance! One of my all time favorite! 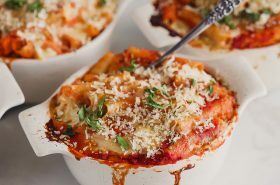 Never met someone who would think to turn down a fantastic penne vodka! This looks so good! I love penne alla vodka! Just about my favorite pasta dish EVER! Love the tempeh addition! I’m hungry just looking at the photos! 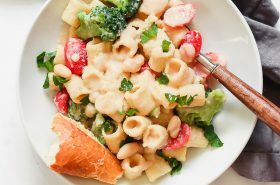 I am also a big pasta lover, and I am adding this recipe to my list! Awesome! You won’t be disappointed – let us know how it goes! 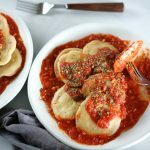 I used to love vodka sauce, I must make this it sounds amazing. I made this but left out the oil. I still tastes great. Don’t know why everyone seems to think they need oil when is so bad for the body! 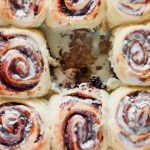 Thanks for the recipe, it is one of my go to dishes. That tempeh pancetta looks SO good! Well, who am I kidding? The whole thing looks so good! It may be pasta night at our house soon! This sauce sounds perfect. Never thought about a vodka sauce. Do you notice the taste of vodka strongly? Nope! The vodka adds a new complex flavor to the tomato sauce without tasting like alcohol. There are flavor compounds in foods, especially in tomatoes, that are alcohol soluble. That means these flavors are not released unless they are mixed with alcohol. That being said, you will still want to cook down the alcohol as much as possible. If your sauce tastes too much like vodka then cook it longer! 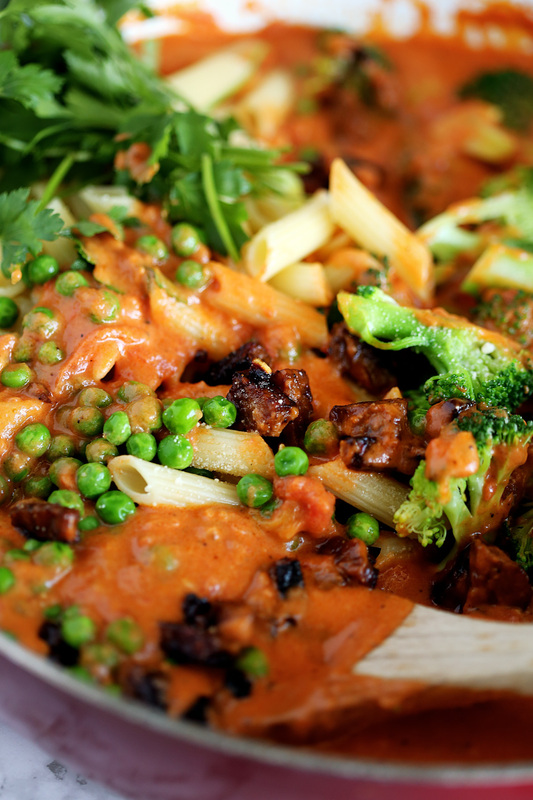 We love pasta with vodka sauce around here and I am intrigued by the tempeh pancetta. Will definitely give that a try! I love vodka sauce, it’s so great that we ate able to veganize it. Your recipe sounds delicious! !